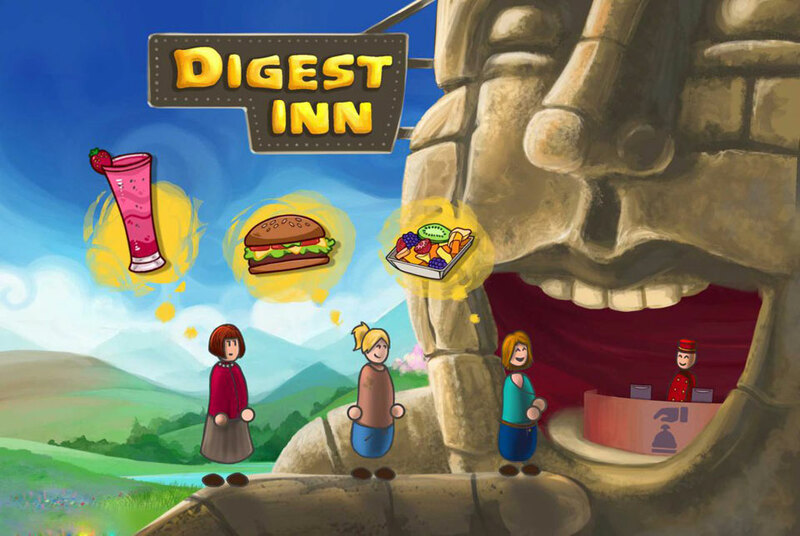 Digest Inn is a game that assists the dietician and their clients to reach treatment goals, by increasing their clients’ treatment adherence, through motivating them with playful interaction. Games are well known to increase players’ moods, promote relaxation and decrease anxiety, which are in turn all very important in losing weight through controlling cravings, impulse eating and feeling positive about ones’ health and life in general. Since gaming is heavily dependent on visualizing progress and keeping players motivated through setting personally challenging goals, while monitoring their progress, games facilitate behaviour change in a natural way. Why not let Digest Inn change your life? For more information visit the Digest Inn site by clicking this link.